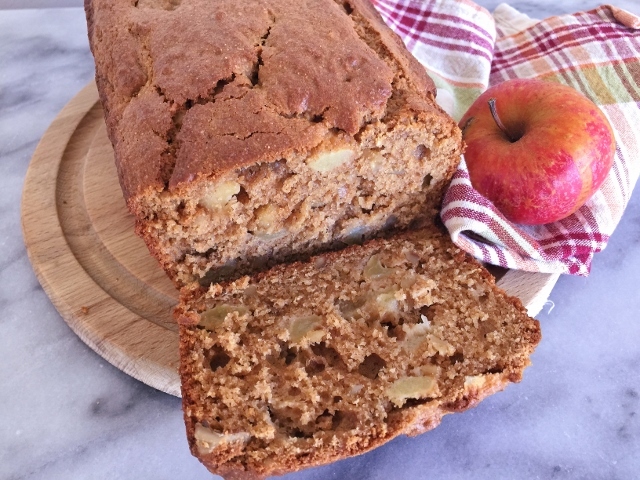 Whole-Wheat Apple Walnut Bread - Recipe! - Live. Love. Laugh. Food. Apples are crisp and naturally sweet and to me are a simple pleasure that this season brings. I like to eat them right off my trees in my backyard or while walking around my local farmers market. I prefer apples to be slightly chilled straight out of the refrigerator, but when it comes to a good apple – I’m not that picky. When I was a kid my mom would take us to Oak Glen, an apple growing area here in Southern California, to pick apples. I remember the abundance of freshly plucked apples from their trees and the stores lined side-by-side with products made with apples. Apple Cider, caramel apples and baked goods made with fresh apples lined the store shelves. We would sample products and take home a big basket of apples to enjoy in so many different ways. 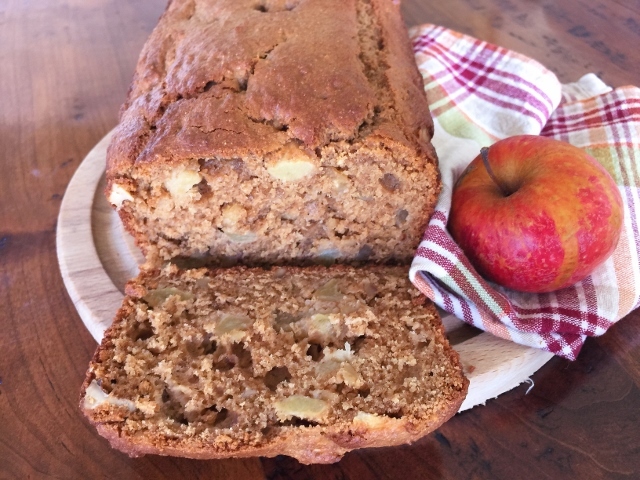 Apple Bread was always a treat that sparked our interest and this recipe is a lovely combination of whole grain flour mixed with apples and nuts. 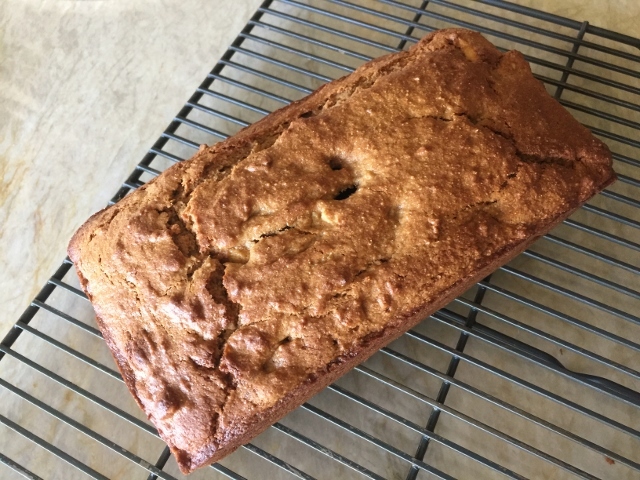 I decided to use Coconut Sugar, a sweetener from the sap of the stem of a coconut tree flower because it deepens the crumb and can hold up to the apples in this recipe. Also, it is lower on the glycemic index and has a slight caramel flavor that enhances most treats without making them overly sweet. 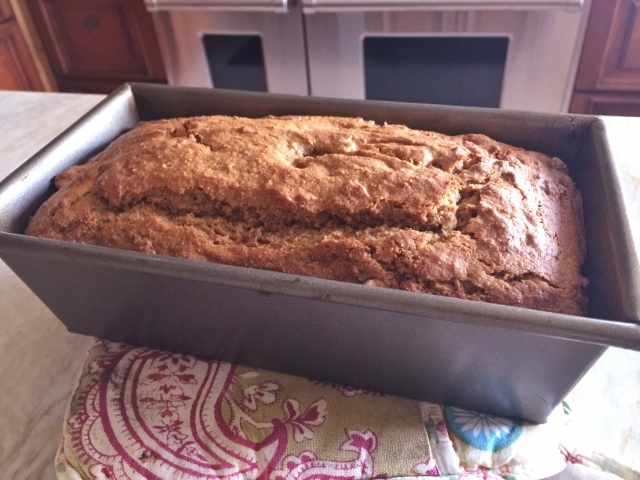 This bread is so good in the morning for breakfast with a cup of coffee or tea and it is great sliced up for dessert after dinner. Every bite reminds me of being with my family in Oak Glen among all the apples. 1. Preheat oven to 350 degrees. Grease a 9-inch loaf pan, set aside. In a stand mixer or large bowl, cream together butter and coconut sugar for 3 minutes. Scrape down sides of bowl and add eggs. Mix on high speed for 2 minutes, scrape down sides of bowl. 2. Add flours, baking powder, cinnamon, baking soda and salt. Turn mixer on low and add yogurt, mix for 30 seconds. Add apples and nuts and mix again on low for 30 seconds. 3. Remove bowl from stand and mix by hand until completely incorporated. Spoon batter into greased pan and smooth out on top. Bake at 350 degrees for 45-50 minutes, or until a toothpick inserted comes clean. 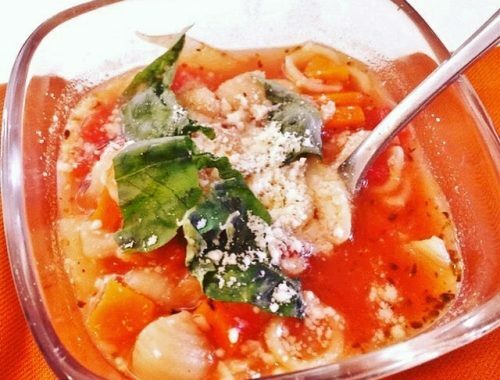 Remove from oven and let cool in the pan for 20 minutes. 4. Loosen bread with a table knife around perimeter and invert onto a rack to cool completely. Slice and serve. Enjoy! 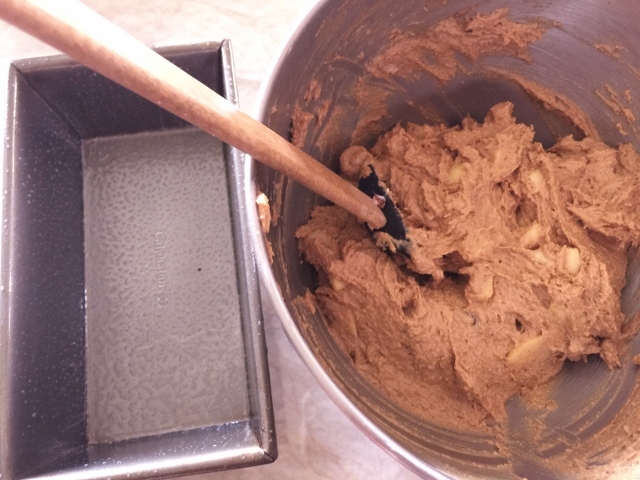 Apple RecipesBaking with Gena BellBreakfast RecipesQuick Bread RecipesWhole Grain Bread RecipeWhole Wheat Apple Walnut Bread - Recipe! 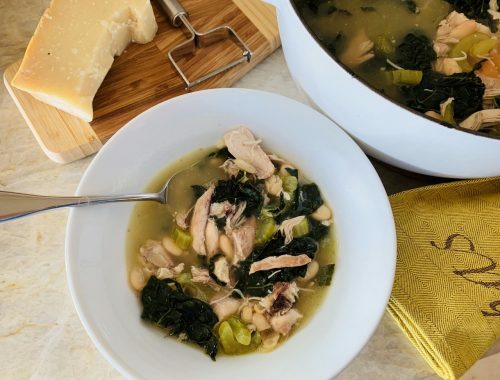 Tuscan Chicken, Kale & White Bean Soup – Recipe! 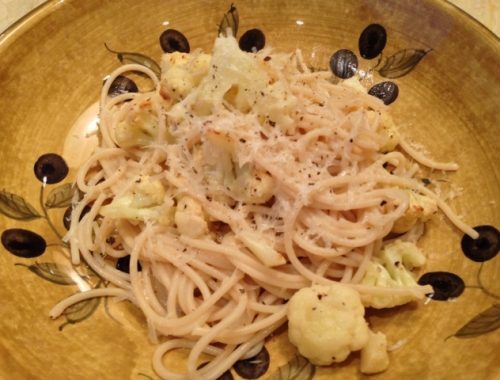 Cacio e Pepe with Roasted Cauliflower – Recipe!